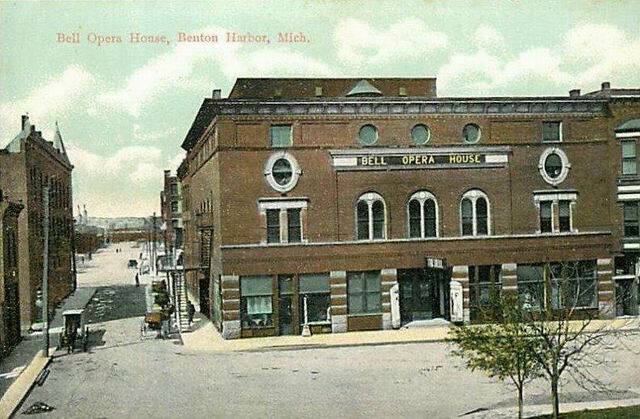 I grew up in Benton Harbor and remember my mother telling of the fire that destroyed the opera house. I was born in 1933 and never saw it because all trace of it was gone by then. But people said it was a grand building. There is a statue and memorial on the bluff near the river in nearby St. Joseph commemorating the opera house and the firemen who fought the fire.